At Chiropractic Today in Birmingham, AL, we don't just treat the symptoms of your health problems. We treat the root cause, both to relieve your current condition, and prevent futures ones from occurring. We take an individualized whole-body approach to each patient. We provide in-office treatment, as well as lifestyle advice and at-home care techniques that are as individual as you are! Read on to discover the services we offer. Thompson/Drop Table Technique--A spine-adjusting method popular among chiropractors & patients because of how well it works! Diversified Method--Gentle manipulation of the spine that has an effect on the health of the entire body. Dr. Abbie Parrish is a nationally certified acupuncture practitioner who specializes in working with muscle discomforts, headache, anxiety, and hormonal imbalance cases. Rapid Spinal Decompression--Relieves strain on the spine so that disks, nerves, and soft tissues can heal. Cold Therapy--Helps relieve pain and muscle spasms for a variety of situations. 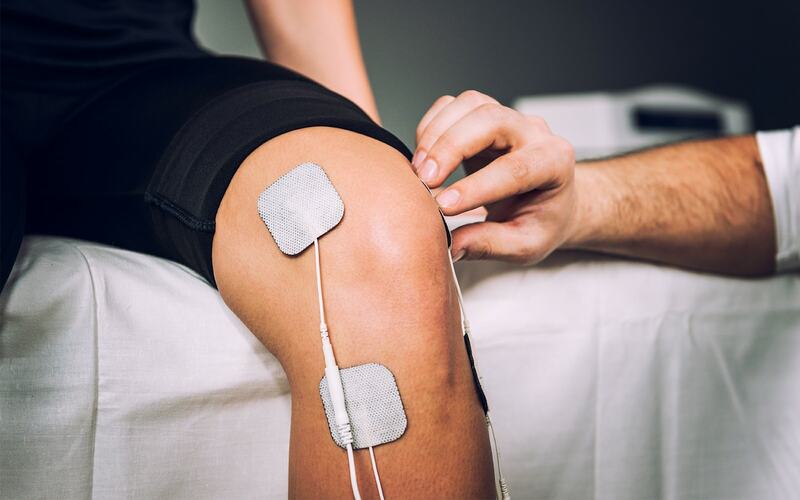 Effective for many conditions, including work injury, auto injury, and sports injury treatment. Trigger Point Therapy--Relieves pain and dysfunction in sore areas, as well as connected areas of the body. Whether you've been injured and are in need of sports injury treatment, or simply want to be your best, we can help. Dr. Irma Palmer is a marathoner who can help you recover from injury, or remain strong and limber for your next event. Proper nutrition helps you feel better and think better; can improve your memory; helps ensure high bone density and bone strength/health, and can aid in weight loss. You'll also learn how supplementation positively interacts in your body. We'll work with you to provide an easy-to-follow nutritional program tailor-made for your specific needs. How to Get a Consultation with Us? Dr. Irma Palmer and Dr. Abbie Parrish will work with you to provide individualized chiropractic care that's as unique as you are. Schedule a free consultation today by calling (205) 991-3511.